Little cannot be said for a man(Steve Jobs) whose life has served as a source of inspiration to others. Having dropped out of Reeds college in 1972, he went on to found Apple computers in April 7th 1976, with his friends Steve Wozniake and Ronald Wayne. 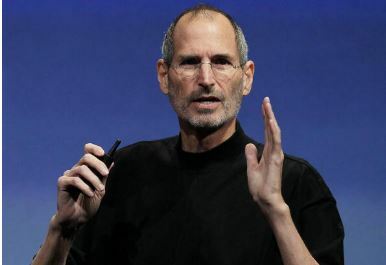 Walter Issacson, who is Steve Jobs’s official biographer described him as “a creative entrepreneur whose passion for perfection and ferocious drive revolutionized 6 industries; Personal computers, Animated movies,music, phones,tablet,computing and digital publishing. Through out his life Steve Jobs gave many motivational speeches and granted many interviews, giving insights on business startup and advancement in technology. Here are 10 entrepreneurship quotes from Steve Jobs. Remembering that you are going to die is the best way I know to avoid the fear of thinking you have something to lose. You are already naked. There is no a reason not to follow your heart. You can’t connect the dots looking forward: you can only connect them looking backwards. So you have to trust that the dots will somehow connect in your future. You have to trust in something. Your guts, destiny,life,karma or whatever. Your career is going to fill a large part of your life, and the only way to do what you believe is great work. And the only way to do great work is to love what you do. If you haven’t found it yet, keep looking , don’t settle. As with all matters of the heart, you will know when you find it. Being the richest man in the country doesn’t matter to me. Going to bed at night saying we have done something wonderful—that’s what matters to me. My model for business is “: The Beatles” , they were four guys who kept each other’s kind of negative tendencies in check. They balanced each other, and the total was greater than the sum of the parts. Creativity is just connecting things. When you ask creative people how they did something, they feel guilty because they didn’t really do it. They just saw something and it seems obvious to them after a while. ← Entrepreneurship program: Tony Elumelu foundation announces 3rd round of TEF program. thank you for your motivating word. Thank you so much. you can check out http://forum.quoteland.com/ it is a good forum for quotes. websites like https://www.brainyquote.com/quotes/keywords/forum.html can also help.